This is a unique skull immobilization concept. Fifteen pound weights are fastened to vinyl covered foam pads. 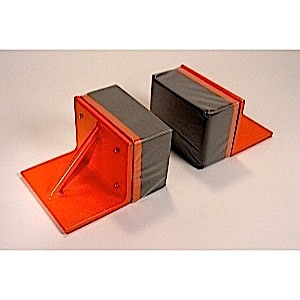 Non-skid rubber pads on the bottom to prevent them from moving.